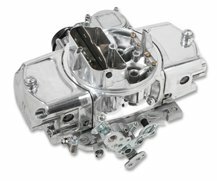 The most revealing signs of a carburetor company’s standing are its reputation for innovation, its record of success, and how easy it is to deal with. 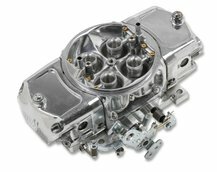 When the Demon range of four-barrel modular carburetors first burst onto the scene in the late 1990’s, it acquired a meteoric reputation for innovation. Immediately noticeable was its uniquely attractive appearance with beautifully contoured air entries and shapely fuel bowls. This coupled with its vast array of ground-breaking features set it apart. To eradicate internal porosity Demon introduced billet metering blocks and base plates. To eliminate impediments to the air flow Demon initiated ridge-free concentric venturii. To overcome the dangers of fuel contacting hot exhausts during float-level checks, Demon instigated large capacity fuel bowls with sight glasses. To nourish the ambitions of adventurous tuners, Demon invented interchangeable venturii, idle-feed restrictors, and air bleeds. 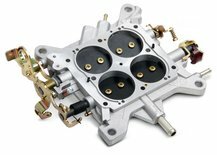 Of its type, these were and remain today the most potent carburetors ever devised. Demon innovation has not been confined to the enduring modular four-barrel configuration. In the early years of this century, Demon Carburetion launched the unique SixShooter induction system and in 2008 introduced the evocative Demon 98. A wonderfully nostalgic arrangement featuring three two-barrel 250cfm carburetors mounted on a proprietary intake manifold, the SixShooter fuels small- and big-block Chevrolets as well as LS engines, small-block Fords, and some Pontiacs. 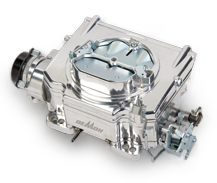 Engineered for Flatheads, Y-blocks, Hemis, and Nail-Heads, the Demon 98 is a retro-fit two-barrel high-performance carburetor that suits thirties-style three-bolt intake manifolds. The 98 owes its supremacy to its practical design. Because it runs standard jets, standard needle-and-seats, and standard fuel pressure its hallmark is “headache-free operation”. The Demon 98 is a direct replacement for the Stromberg 97 or the Holley 94. Both the 98 and the Sixshooter are scheduled for re-release in late 2012. 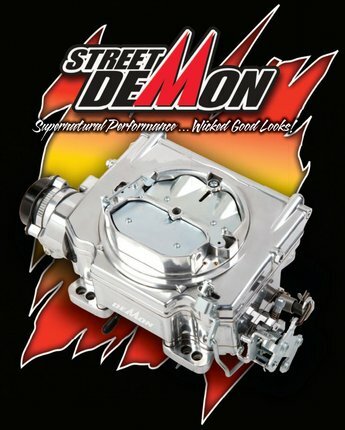 In May 2012, Demon Carburetion announced the three-barrel 625 Street Demon. An entirely new design, the Street Demon is engineered for hot rods with stock to mildly modified engines and accommodates either square- or spread-bore-pattern intake manifolds without adapters. In fact, it’s an easy replacement for any street four-barrel. Car Craft magazine’s Senior Technical Editor, Jeff Smith comments, "I put a 625 Street Demon on my El Camino and found that it runs better than the 750 Holley that was on the car before. 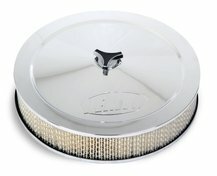 In light throttle applications, it is both crisper and smoother. 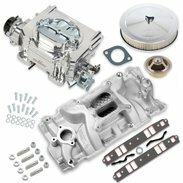 All told, this is the best out-of-the-box carburetor I’ve tried on this engine." As Street Demon production gathers pace, key upgrading work begins on regulators and fuel pumps - in particular the BG 400; BG280; 220HR; and the 220PS. To be marketed under the Demon brand, these fuel system stalwarts will all be available soon with revised vane designs. In addition, comprehensive rebuild kits will be introduced. The kits will provide access to seals, pumping elements, and eccentric ring wear plates. Moreover, the kits will serve BG pumps dating back to earlier years. 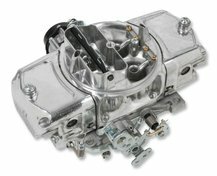 In 2011 Demon Carburetion adopted ISO 9001 certification. An international standard that promotes the production of high quality goods, Demon meets its ISO obligations by making available all its manufacturing procedures and records annually for audit to an independent inspection body. 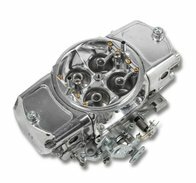 The results of ISO compliance have been startling: In the first seven months of Demon production under ISO just one solitary carburetor was returned to the factory under warranty! 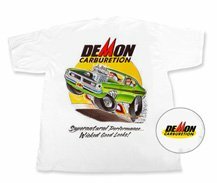 Never destined to remain superficial for long, Demon Carburetion is driven by innovation and a desire to maintain lasting relationships with its customers. We, therefore, invite you to share your voice—don’t hesitate to tell us how we’re performing and how we can do better!